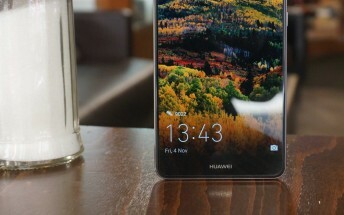 The latest trend of naming screen technologies reached Huawei. 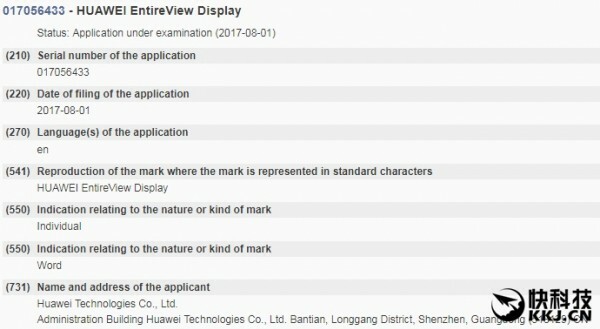 The company trademarked the name EntireView Display for the Mate 10 screen that is going to be launched on October 16. This is the third major manufacturer that patents a nickname for its screens after LG with FullVision and Samsung with Infinity Display. The Huawei Mate 10 is coming with a bezel-free display similarly to the LG G6 and the Galaxy S8 duo. It was confirmed by Richard Yu, chief of Huawei consumer division and the patent listing at the EU Intellectual Property Office backs the affirmation. The new phablet is expected to have a 6” screen with 18:9 ratio, built by Japan Display Inc. The resolution will be 2160 x 1080 pixels, and the whole setup will run on the new 10 nm process chipset Kirin 970.